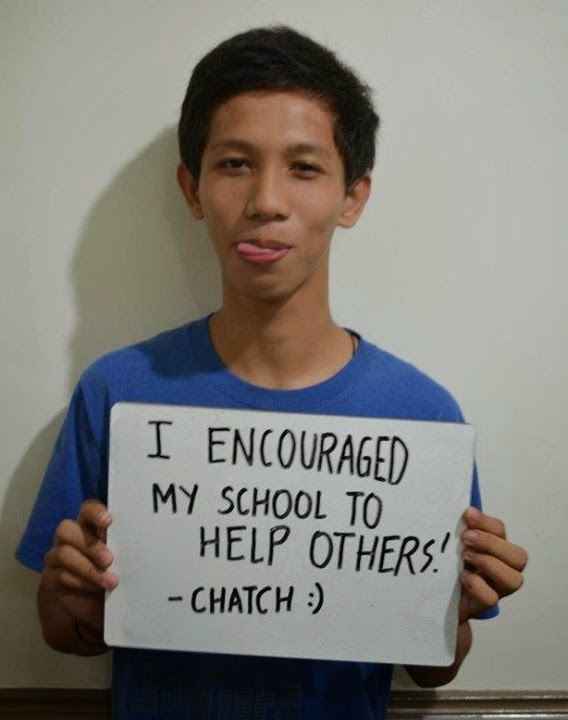 Here's a Good advice from Chatch Calderon #10; Youth Volunteer and Student of Life. Some wish that life only works on a give-and-take basis. But that will never be the case. Some would give more, and some would give less, but it shouldn't matter. If you give, never expect anything in return. Yes, it is great to care for someone and be there for them, but don't forget that you have to take care of yourself too. You should never expect from those you have helped to give to you the same effort because perhaps they never asked for it. I think this will make the world would be a better place. Note: If you like the idea and want to join, please leave a comment or message me via facebook, or contact me via the contact form in this blog.